Rotary clubs undertake a wide range of community and humanitarian projects in support of Rotary's main areas of focus. Here, we showcase just a few of them. Please follow the links to learn more about each project. in 2009, the Rotary Club of Medway launched the Rotary Childrens Hospice Holidays scheme. 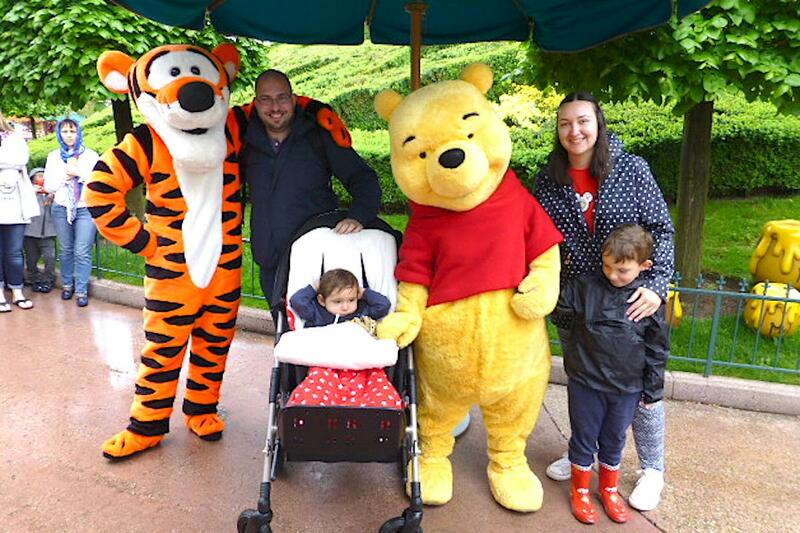 Each year since that date the Club has funded and led the annual 4 day holiday to Euro Disney Paris, taking 6 families from both Demelza and Ellenor Childrens Hospices in Kent and South East London. The Rotary Club of Senlac have become well known for their Yellowmen of Kadongdong. 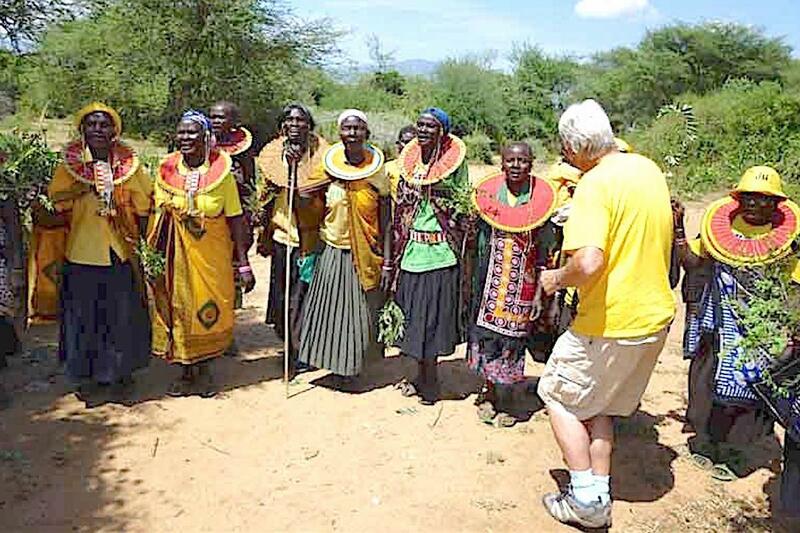 These are local Rotarians and their friends from the Hastings and Rother area who work in Northern Kenya to build or refurbish clinics and shools. They also help to develop the medical and educational servces in the area. The Rotary Club of Sidcup has taken the lead in working with Job Centre Plus to help young unemployed people to obtain work. The club has received a Rotary International 'Champions of Change' award, and a Civic Award from the London Borough of Bexley for their work in our community. 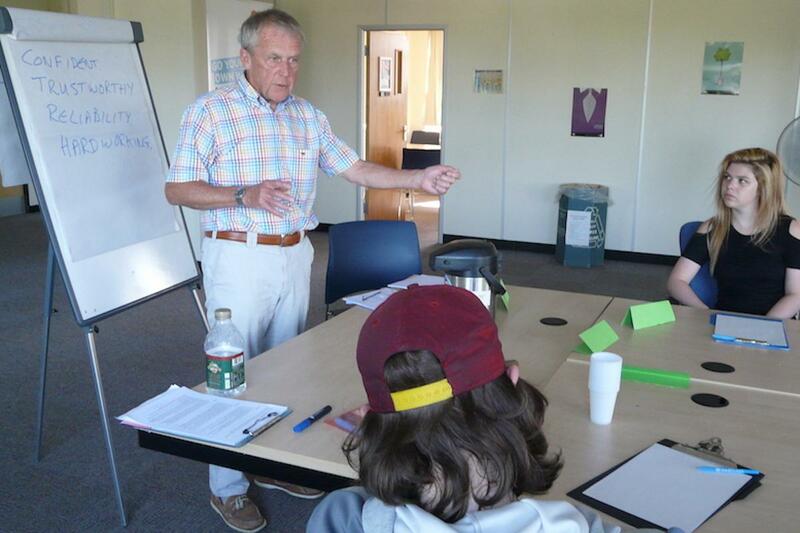 Members of the Rotary Club of Sittingbourne Invicta and Maidstone Riverside are also involved in running Interviewing Techniques Workshops and mentoring job seekers. Members of the Rotary Clubs of Maidstone Riverside and Sittingbourne Invicta volunteer their time to crew on board Kingfisher; a purpose built boat providing river trips for disabled and disadvantaged people of all ages. The boat is fitted with a lift to help wheelchair users and others to get on board easily and safely, and operates five days a week from May to September. 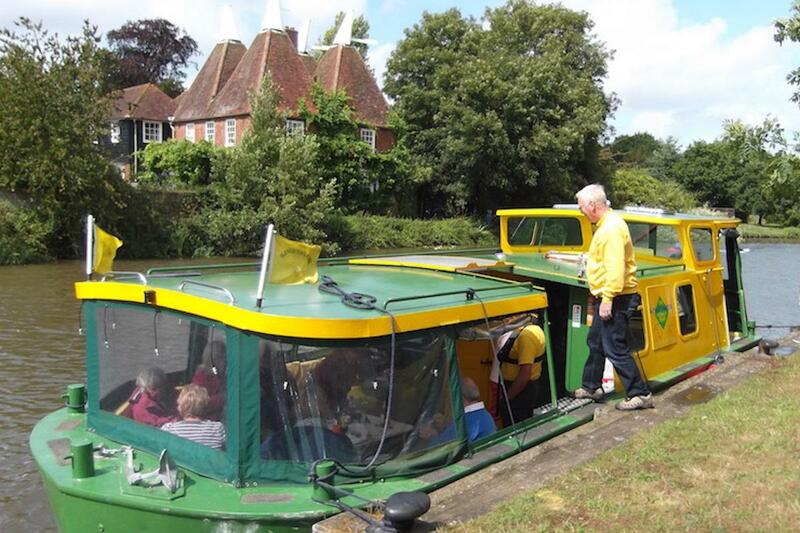 Additionally, the Rotary Clubs of Tonbridge, Maidstone Riverside and Sittingbourne Invicta also sponsor river trips for people within their local communities. The Rotary Club of Beckenham hold an annual swim a marathon event to raise money for Children in Need. The club arranges a venue, recruits sponsors, prints flyers snd recruits swimmers from local schools, sports clubs, emergency services and charity groups. The club's target to raise is £3000. The Rotary Club of Bexill holds an annual beer festival in the De La Warr Pavilion each year and raises about £4000. In addition to it being a fundrasing event, it also serves as a weekend of entertainment for the local community. The club seeks sponsorship for barrels of beer and programme advertising so that takings from ticket sales become profits. An organising committee starts planning months before the beer festival weekend starting with a booking at the De La warr Pavilion, contacting breweries, ordering pint plastic glasses with the clubs logo on, and ordering beer tokens. The club also uses Facebook to advertise their event. Music from two bands on both Friday and Saturday nights adds to the atmosphere. 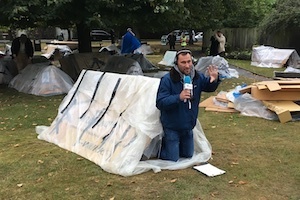 The Rotary Club of Canterbury Sunrise holds an annual sleep out in the precincts of Canterbury Cathedral to raise awareness of the plight of the homeless and to raise money for homeless charities. The club invites chief executive officers of local businesses and civic and community leaders to participate and raise sponsorship. 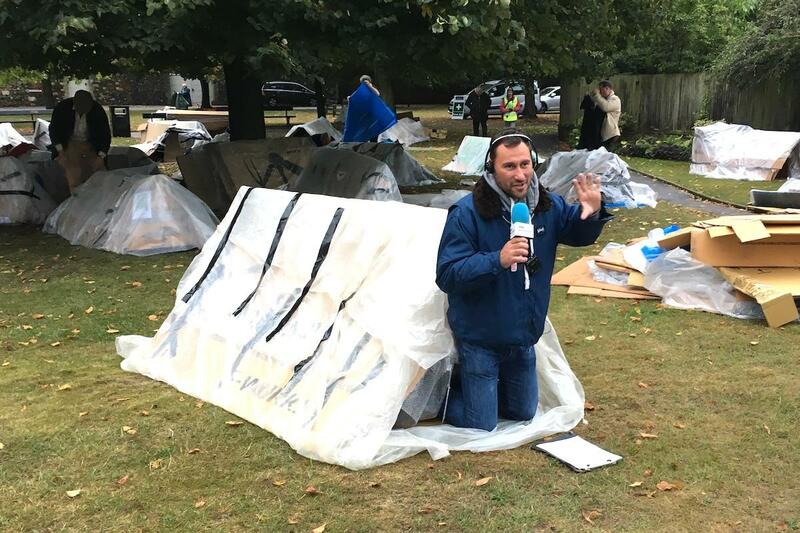 Each year, 40 to 50 sleepers participate raising £30,000 to £40,000 for charity. The club obtains permission to use the cathedral precincts, reaches out to businesses and groups to obtain participant sleepers, advertises via a dedicated website with a Just Giving link, and plans a publicity campaign in local newspapers, on radio, and uses posters and banners around the town. The Rotary Club of Gravesend and meopham held an event in April 2018 to raise money for "Little Buds"; a special baby care unit at Darenth Valley Hospital. 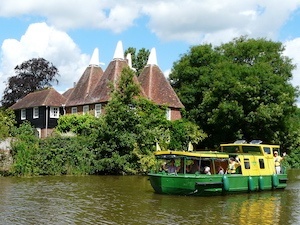 The event consisted of either a sponsored walk, a cycle ride or canoeing - all along a 10-mile stretch of the River Medway. Support was given by the Gravesend Sea Cadets who provided 10 open canoes and instructors. Routes had to be identified and trial walks undertaken along with full risk assessments and insurance checks prior to the event. The club had a target of £4000. The Rotary Club of Canterbury decided on an Open Farm Day and Hog Roast as a fundraiser in support educational bursaries for underpriviledged students to attend a school in South Sudan. The farm was owned by a club member and the event was open to Rotarians, familiy members and friends. As well as the hog roast, stall selling bric-a-brac, books, plants, cakes and other home produce were organised. There was also a raffle, various photo props for use on smartphones, a coconut shy, a bouncy castle, and a scavenger hunt. The Rotary Club of Maidstone Riverside organise an annual swimming event for teams of 4 to 6 swimmers in relay for 30 minutes. The event aims to raise £10,000 for Children in Need. The club sets up a dedicated project team for the event and plans for months before the big day. The club has developed an excellent working arrangement with the Maidstone Leisure Centre which provides the pool for 4 to 5 hours. The club then targets schools, sports clubs, swimming clubs, scouts/guides etc. with a publicity campaign of articles in local newspapers, on the radio and uses posters and banners around the town and in the leisure centre. The Rotary Club of Tenterden has put on a show in a local theatre involving eight local dance and performing arts groups ranging in age from three years to eighty. The club used the event to promote Rotary and its work and to raise about £5000 for the charities supported by the club. 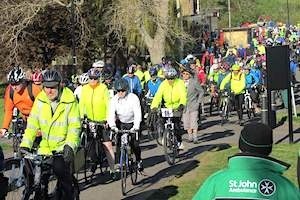 The Rotary Club of Gravesend have organised a charity cycle ride for 600 riders over the past 32 years, and has a target of raising £15,000 each year from this event. The event attracts a great mix of families, cyclists and dedicated riders because three routes of differing length are offered. The club has developed a dedicated website with online entry and social media publicity, as well as meeting health and safety and local authority requirements like correct signage. Each year the Rotary Club of Folkestone hold a half marathon event as a fundraiser for a number of local charities. 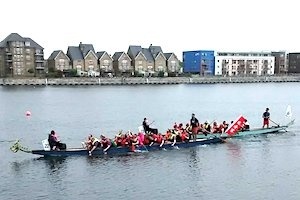 The Rotary Club of Medway Sunlight hold their Dragon Boat Challenge and Food Festival in May each year. This is their 'flagship' charity event with races run throughout the day over a short course of 250 Metres of Basin No 2 in Chatham Maritime. The Dragon boats are forty foot long and elaborately decorated. The Rotary Club of Sittingbourne Invicta organise a 10K race and 2K fun run each year. The Rotary Club of Medway holds an annual Charity Santa Fun Run as a fundraiser. 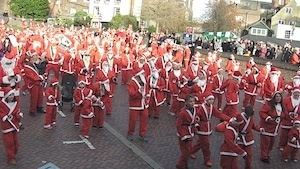 The run is along Rochester High Street in November and attracts well over 800 red clad Santa’s. The last event raised £8000, which provided a few more EuroDisney trips for children from a local hospice.